The Grumman Goose was one of the few airplanes produced during the American Great Depression that was used as a private transport, an airliner, and used by nearly every branch of the military in a few different countries. Of the 345 Grumman Goose aircraft made, an estimated 30 remain airworthy. 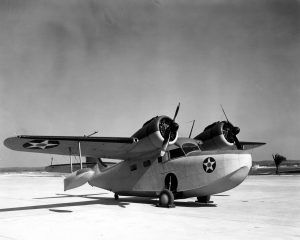 Few amphibious planes are as well-known as the Grumman G-21 Goose, which was produced by Grumman Aircraft Engineering Corporation from 1937 to August 1945. It’s said that the Grumman Goose came about when the company was approached by a group of wealthy businessmen led by Wilton Lloyd-Smith in 1936, who were looking to replace the Loening Air Yacht they used to commute from their Long Island homes to offices in Manhattan. They had previously approached Grover Loening, who declined their offer to build a new aircraft, but Grover pointed them to Grumman. Leroy Grumman accepted the offer, and got to work with William Schwendler (who co-founder the company, and designed alongside Grumman) and hydrodynamics expert Ralston Stalb. 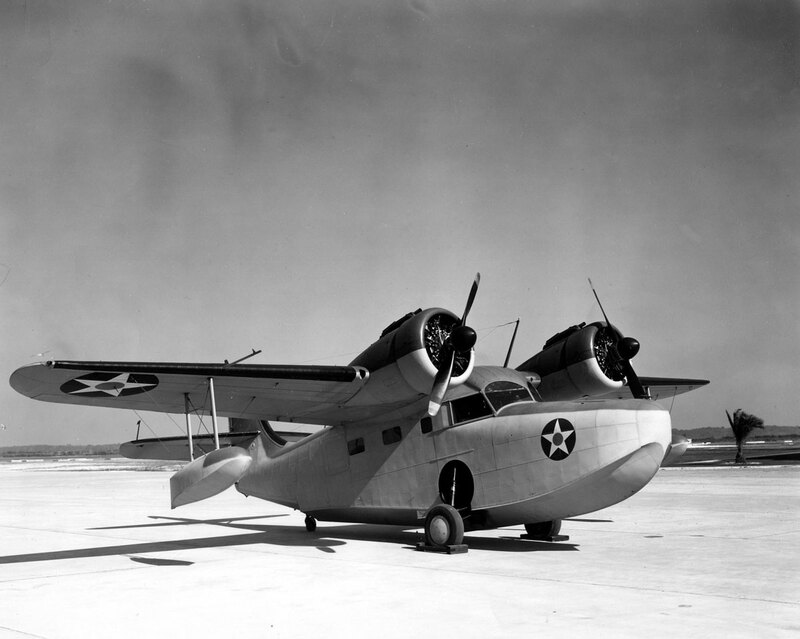 A year later, the Grumman Goose (Model G-21) prototype had its first flight, on May 29, 1937. Test pilots Robert L. Hall and Bud Gillies flew the aircraft from Grumman’s factory in Bethpage, New York, and after a successful maiden flight, additional flight trials went smoothly. The hull was lengthened to improve the Goose’s performance on the water and was soon ready for production. 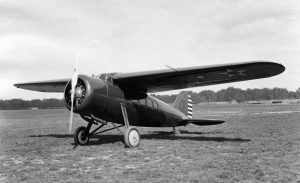 The Goose represented a number of firsts for the company, including it being Grumman’s first monoplane to fly, their first twin-engined aircraft and their first aircraft to enter commercial airline service1. According to the Smithsonian2, Bolivian airline Lloyd Aereo Boliviano (LAB) was the first airline to purchase the Grumman Goose but didn’t put it into service right away. The Dutch East Indies subsidiary of the Royal Dutch Airlines bought two and operated them for two years before one was shot down by the invading Japanese soldiers. This photo of a JRF-5 Navy Goose was taken in 1941 by the US Navy and is in the public domain. The high-wing amphibious monoplane was constructed almost entirely out of metal (the trailing half of the wing and control surfaces – excluding flaps, were fabric covered)1, moving away from the primarily wood and fabric aircraft prevalent at the time. Its retractable conventional landing gear had to be hand-cranked, and its spacious fuselage could be fitted for either luxury passenger transport, with a bar and a toilet,4 or hollowed out for military use. The mono-hull design of the Grumman Goose is braced and balanced by floats suspended beneath each wing, making it incredibly stable and steady on the water.2 However, I can’t even imagine the airspeed and fuel penalty caused by the massive drag those bulky floats accumulate traveling through the air! The original G-21 Grumman Goose was fitted with two high-mounted 450 horsepower Pratt & Whitney R-985 Wasp Junior nine-cylinder, air-cooled radial engines on the leading edges of the wings. According to pilots at The Goose Hangar5, an Alaska-based flight school that teaches pilots to fly their original Grumman Goose, “The Goose is a well-balanced, responsive airplane that has a good feel to it and is one of those airplanes that is just enjoyable to fly.” They go on to describe that their Grumman Goose, N703, has an “unusually straight airframe” and was built with good handling “rather than speed and efficiency” in mind. A descending Goose, taken by Alan, used under license CC 2.0. Long after the Goose left production, McKinnon Enterprises got ahold of some Grumman Gooses and re-engined them with four 340 HP (254 kW) supercharged Lycoming GSO-480-B2D6 engines. In addition to the considerable boost in power, the G-21C also got a fiberglass radar nose, retractable wingtip floats, (eliminating that inherent form drag I mentioned earlier), as well as improving the visibility with a wraparound windshield and enlarged cabin windows. After a series of internal structural reinforcements, the gross weight was again bumped up, this time to nearly 12,500 lbs (5,669 kg)!1 That’s a big Goose. Though there was only one G-21D converted by McKinnon, it brought about the nickname Turbo-Goose which I think is funny enough to warrant mentioning. In 1966, McKinnon got a G-21C and extended the bow section, adding two extra windows on each side and accommodations for four additional passengers. 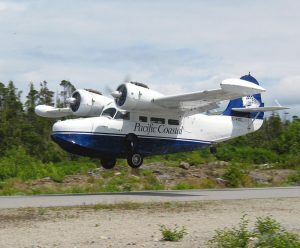 Again, they upped the power by re-engining the Goose with two Canadian Pratt and Whitney turboprop engines (PT6A-20) of 550 HP (432 kW) apiece.1 Additionally, the “Turbo-Goose” added electric flaps. The E was a simplified turbine conversion (of which one was made) of the C, with 550 hp PT6A-20 engines, and more fuel, but without the C’s structural reinforcements. 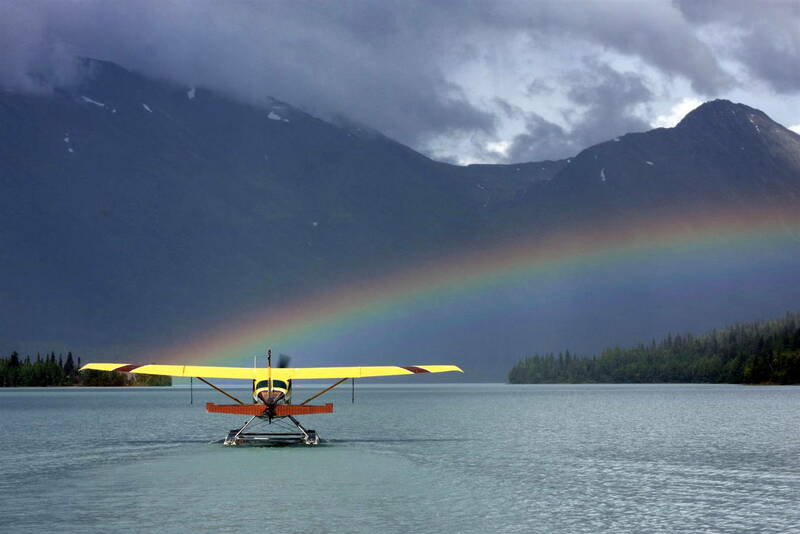 The F was reportedly a conversion made by the Fish and Wildlife service in Alaska, based of McKinnon’s specs, which once converted, didn’t receive FAA approval. The final McKinnon conversion, the G, featured 680 hp PT6A-27 engines, 586 gallons of fuel, and 12,500 pounds of gross weight. Two conversions to this type were completed. The military ordered a handful of Gooses for different missions (JRF 1 – 4), before finally settling on a major production version, the JRF-5, which as mentioned, provided the most Gooses of one type, at 184. The JRF-6Bs were navigation trainers and were purchased by the US government to supply to foreign countries under Lend-Lease after the war. 50 JRF6’s were built, at a reported cost of $62,180 per unit. 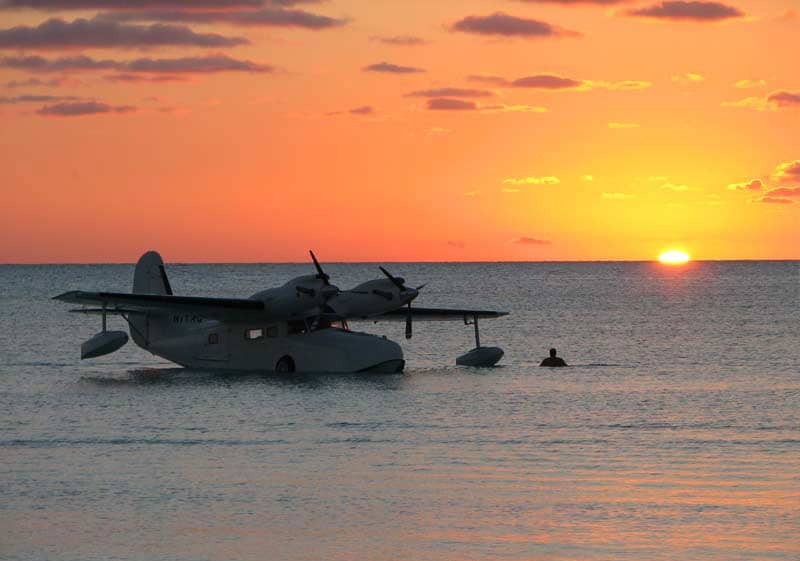 I could only find one Grumman Goose for sale, and it’s selling on Seaplane Market for $595,000. There are quite a few Mallards and even a few Albatrosses, but the Goose is a very rare find. Considering there are only about 30 airworthy Grumman Gooses in the world today, it’s not too surprising that pilots and owners don’t want to sell! 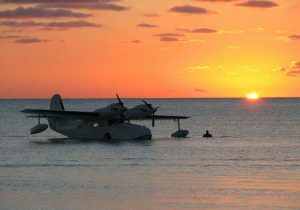 In November 2007, Antilles Seaplanes, a group based out of Gibonsville, NC, said they would be restarting production of the Goose, basing their revival on the final McKinnon conversion, the G-21G (Antilles bought McKinnon earlier in the 2000s.) It would be called the Antilles G-21G Super Goose, and feature 680 hp PT6A-34 engines turboprop engines, and would feature state of the art avionics and a glass cockpit. However, two years later, the Antilles HQ was foreclosed on and sold at auction. 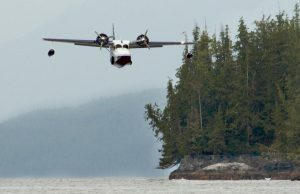 The Grumman Goose is a versatile amphibious powerhouse and one of the few airplanes produced during the American Great Depression that was used as a private transport, an airliner, and used by nearly every branch of the military in a few different countries.6 Nowadays, getting the chance to fly (or ride in) a Goose is worth writing home about. They are most commonly operated in California and Alaska, as well as some islands in the Caribbean, so keep your eyes peeled and take the chance to fly one if it ever comes up! Thank you for the clarification regarding the G-21D. Does anyone know of a Grumman (or any other) Goose still in flight and offering them to the public? I’ve recently managed to fly in a Ford Trimotor, but would really love to ride in a Goose. Thanks! I grew up on the BC coast and, as a kid, got to fly several times in CF-VFU, owned in those days by Forest Industries Flying Tankers who also operated the Martin Mars water-bombers. What a thrill. I always got to sit up front and a few times was allowed to take the wheel and given some basic operating instructions. I think that Goose went to Croatia.